MTSU’s 15-month customized Concrete Industry Management executive M.B.A. degree program is the only one of its kind in the country and offers a mostly online delivery to draw students from the industry nationally and internationally. 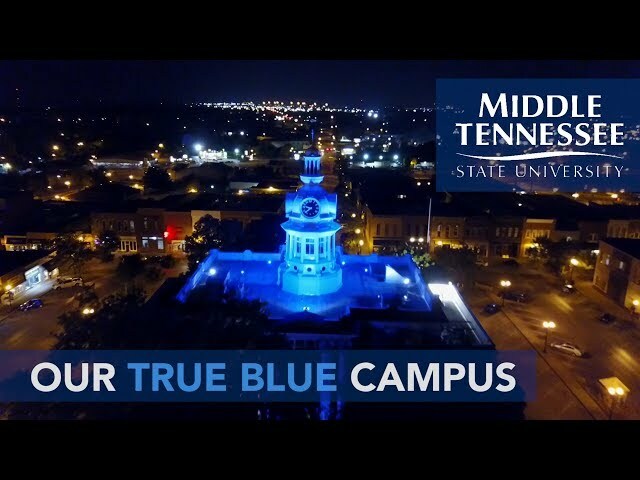 Students take courses in seven-week blocks via distance learning and webinars; two required trips to MTSU or industry events are spread out during the program. This rigorous, highly interactive degree program takes participants beyond basics to a true understanding of forces that shape the concrete and construction industry. Participants can immediately impact their businesses by implementing strategies and insights gained from the completed courses, resulting in immediate return on investment for their sponsoring companies. Coursework is focused around typical M.B.A. advanced business skills but tailored specifically to the concrete and construction industry. Application deadline is October 1 for the cohort that starts in January of the following year. Earning an M.B.A. with a concentration in Concrete Industry Management in 2014, has helped Frank Bowen as Piedmont Precast’s plant manager in Atlanta. He manages the company’s precast operations including production, quality control, safety, logistics, research and development, and NPCA (National Precast Concrete Association) certification. Bowen also now is on the quality assurance committee of the NPCA. “This niche M.B.A. program was perfectly tailored to my needs,” he says. “With a career in the concrete manufacturing industry, this particular program was extremely valuable in helping me advance my role in the industry.” Bowen was a 2004 Mass Communication graduate from Auburn University before joining his family’s business which has focused on burial vaults since the Depression but also now specializes in precast retaining walls and traffic barriers. “The CIM M.B.A. program has helped me focus on Six Sigma tactics to lean our assembly and production times in a manner that makes us more competitive,” Bowen said. MTSU Jones College of Business offers a Master of Business Administration (M.B.A.) degree with a concentration in Concrete Industry Management (CIM), along with a traditional executive M.B.A. and additional concentrations in Health Care Management and Music Business. The CIM-focused M.B.A. requires online courses in accounting, economics, finance, information systems, management, marketing, and concrete industry management. This distinctive program is designed to develop long-term relationships amongst participants, while fostering a collaborative learning environment and allowing national and international recruitment with limited campus visits that are intensive and focused. Application deadline: October 1, for the limited-enrollment cohort which begins the following January and finishes 15 months later in March. All participants will have at least an undergraduate degree from an accredited institution of higher education. While participants must have at least a bachelor’s degree, that degree does not have to be in business. Industry professionals participating in the program must have a minimum of three years of experience in the industry. A GMAT or GRE test is not required due to this experience requirement. Total cost of the CIM Executive MBA program is $25,000 per participant, payable in four installments for convenience. The total fee excludes textbooks, other learning materials, and air travel during the two required on-campus visits. Behavioral science concepts and research in the management of organizations; theories dealing with interpersonal relationships, motivation systems, group dynamics, communications, and authority related to organizational behavior, control, and structure problems. Strategic and tactical decisions involved with planning, operating, and controlling the operations functions in a firm. Emphasis on problem identification and solution. Prerequisite: ACTG 2120 with minimum grade of C or equivalent. Concepts and techniques of financial statement analysis, income determination, and related institutional background. Not open to M.Acc. students. Focuses on the use of computing resources in managerial context. Students will develop an understanding of issues and implications of information resources and end-user computing as well as develop skills in application of these concepts in a problem-solving oriented microcomputer system environment. NOT open to students with an undergraduate degree in Information Systems and not acceptable for the M.S. in Information Systems. An analytical managerial approach to the marketing activities of a business enterprise. Emphasis on problem solving and marketing simulation. Advanced techniques in quantitative methods. Modeling and optimization techniques. Computer applications emphasized. Advanced problem analysis requiring the synthesis of theory and practice gained from both the functional and managerial areas of study with emphasis on formulation, integration, and implementation of policies and strategies of the firm. This is a capstone course and must be taken after all core requirements or by consent of the director of the M.B.A. program in the last semester prior to graduation. Principles of supply chain management and supply chain management environments. Examines integration with other companies to manage flow of resources, including materials, information, people, etc., in a global supply chain environment. Prerequisite: Admittance into the CIM-MBA program: Explores current topics in sustainability specifically as it relates to concrete production and general construction practices in the residential, commercial, and institutional construction segments. Prerequisite: Admittance into the CIM MBA program. Explores current troubleshooting topics in concrete construction as it relates to selection, preconstruction communication, onsite construction activities, and post construction.